Are you looking for the original hot rod bagger? Then you're looking for the 2019 Harley-Davidson® Touring Street Glide®. 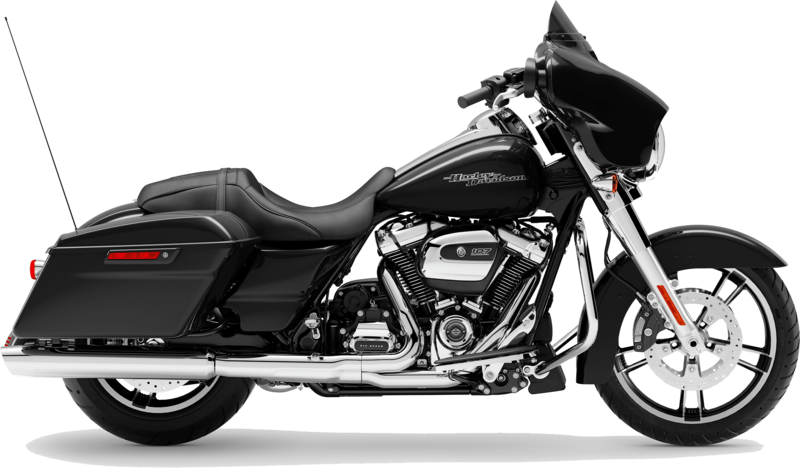 The new lineup of 2019 Harley® Touring motorcycles is now for sale at Latus Motors Harley-Davidson. 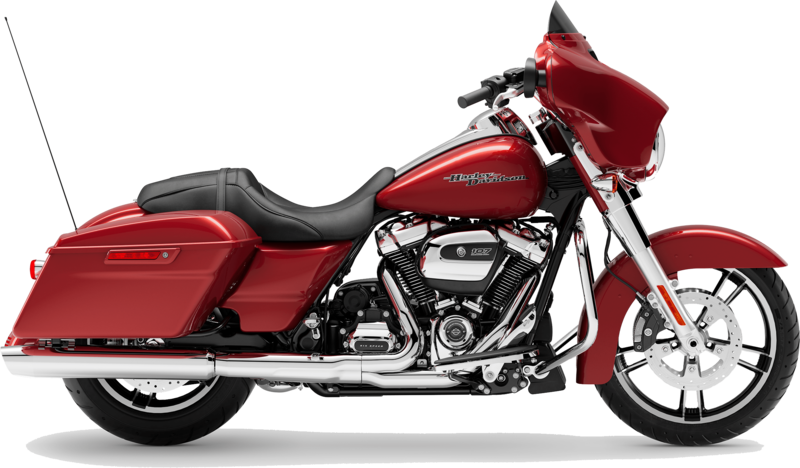 Find our local Harley® dealership conveniently located near Tigard, Oregon. Motivated by a Milwaukee-Eight 107 V-Twin, riders will roll their right wrist back and deliver 111 pound-foot of torque to the rear wheel. 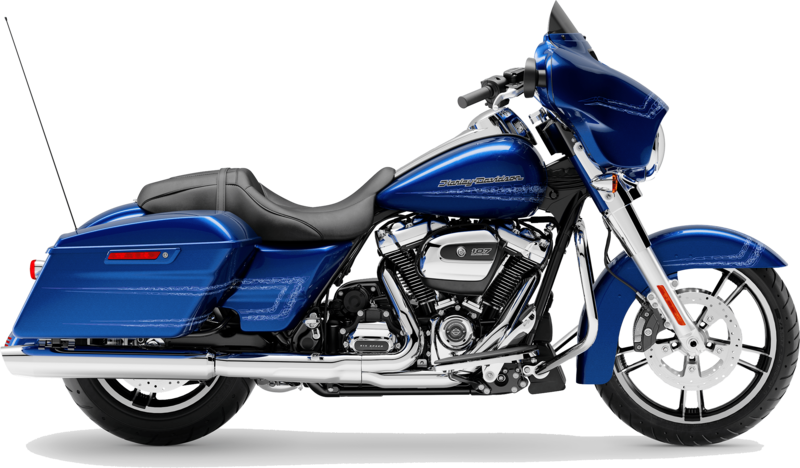 The Street Glide® rolls off the assembly line at 796 pounds. For riders who enjoy long-distance highway crisscrossing, you will appreciate the hand-adjustable rear shocks and active suspension. The saddle of this modern classic boasts leading technology like the BOOM!™ Box 4.3 Radio. This standard feature provides audio enjoyment via 25 watts per channel and two speakers. Don't delay your introduction to the 2019 Touring Street Glide® any longer. Make the quick trip from Portland, Oregon to our local Harley® dealer. During your visit, our team of fellow riders can tell you more about this bike's features and set you up with a road test. Get a jump on your paperwork and submit your Harley-Davidson® lease application online. The 2019 Harley-Davidson® Touring Street Glide® delivers a soul-satisfying rumble and screams style. Design cues start at the front and take us through the tips of the pipes. The iconic Batwing Fairing tells the highway you have a passion for the Motor Company. Form also meets function here. The smooth airflow also reduces head buffeting. There's no sense looking good if the bike is not safe. To look after your style and safety needs, the Reflex Linked Brembo® brakes and high-performing front and rear suspension deliver a smooth ride and a controlled stop. Tell the team here at Latus Motors Harley-Davidson® about your needs and enjoy the full line of 2019 Harley-Davidson® motorcycles for sale. After you take home one of our new Harley-Davidson® models for sale, be sure to shop our accessories department. When you want to install custom motorcycle parts or buy genuine Harley® motor clothes. We also support our community of fellow riders by offering montly rides with Latus. We hope you sign up for an upcoming ride when you take home a 2019 Street Glide®. From its sleek Project RUSHMORE front fender to its chrome exhaust, the Harley-Davidson Street Glide® exudes stripped down bagger swagger.